As the days get longer, so does your list of opportunities for a wardrobe change! We know that you love to make the most of those two precious days after a busy work week and we want you to look your best for every last minute of them, so we’re breaking down must-have styles for everything on your to-do list. From grocery shopping to toasting with your girls, we’ve got an outfit prepared just for you, because we believe in feeling your look no matter what you’re doing! Taking the pup out, or just enjoying some fresh air? 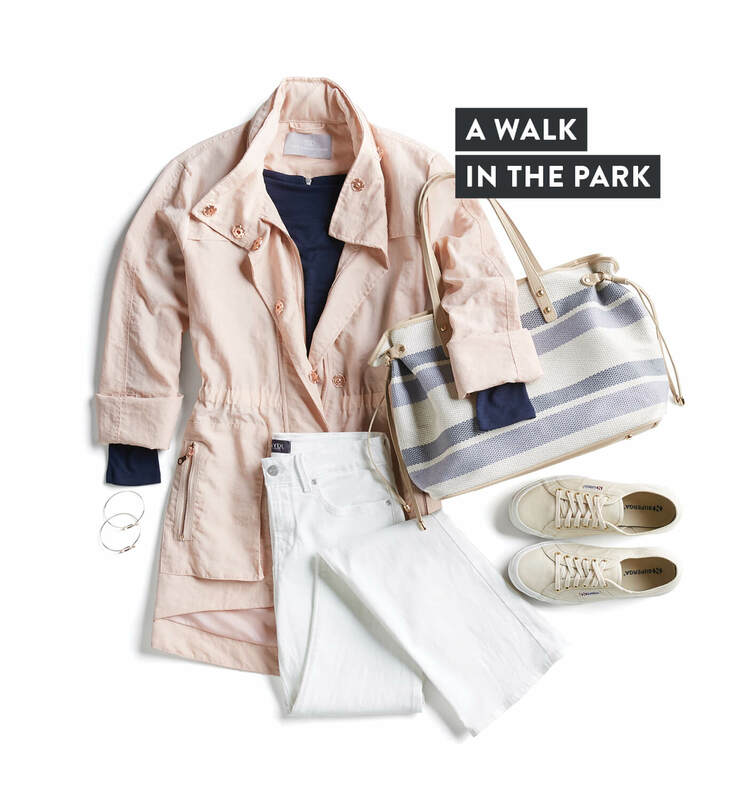 Get into the springtime spirit with a millennial pink anorak paired with white skinny jeans and a navy sweater. Complete the look with matching white sneakers and an accented tote – perfect for carrying your favorite reading material and a light blanket for an impromptu picnic! Just because you’ve got a list of errands a mile long doesn’t mean you need to hide under a baseball cap and hoodie. 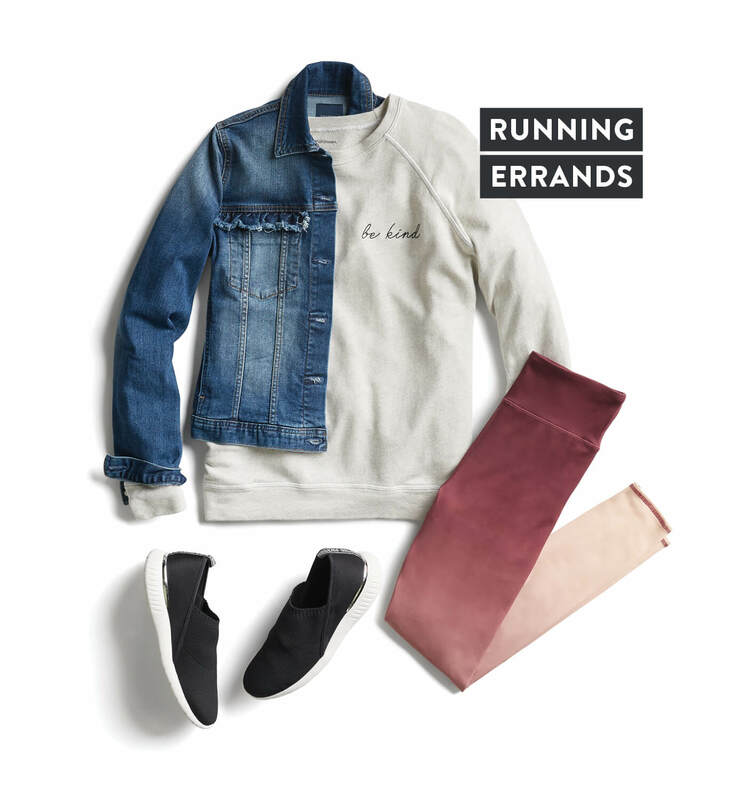 The world is your runway, so stay fab and functional in ombre leggings, black sneakers, a comfortable sweater, and an always-chic denim jacket. Just be sure to offset your statement leggings with a monochromatic top and shoes! Pro-tip: there’s no shame in matching your mimosa. 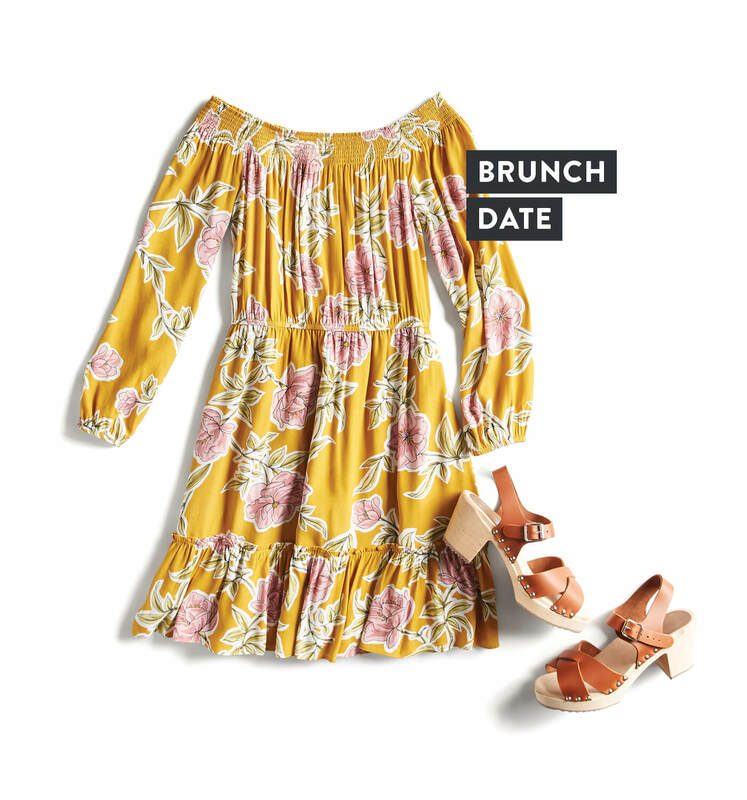 Usher in the day with a sunny off-the-shoulder dress and heels. We love wooden clogs for their comfort, versatility, and ability to elevate any look. Dinner with friends is definitely worthy of busting out the heels, but keep it polished without overdressing. Make a vibrant printed blouse your focal point and keep it simple and stylish in skinny jeans and neutral pumps. Top it off with a white jacket for a more tailored look. More pinot, anyone? It’s that moment you’ve been waiting for all week long! 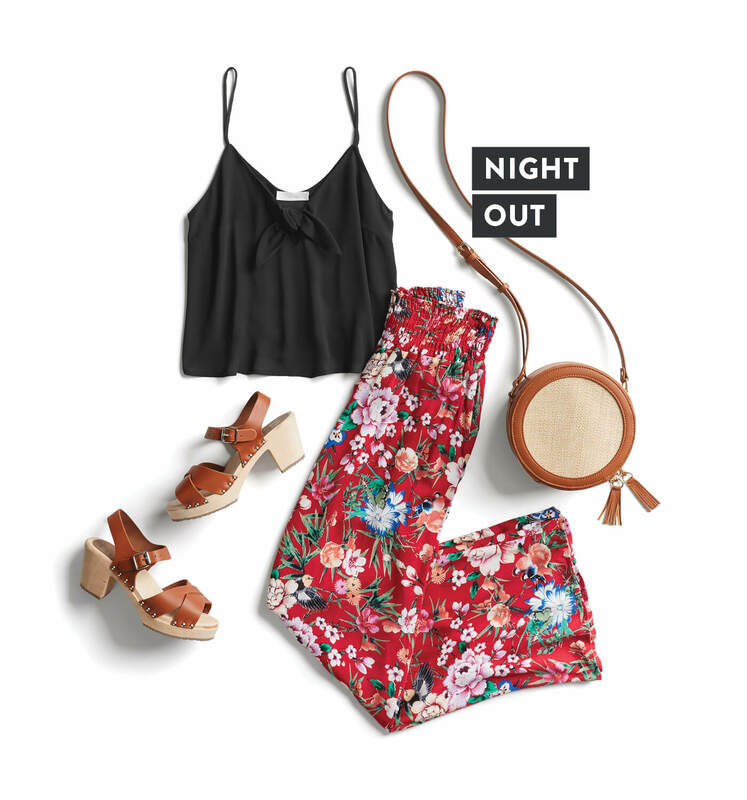 High-waisted trousers in statement prints are perfect for moving and shaking all night long. Streamline the style with a minimal black cropped tank, a round bag-of-the-moment, and those trusty wooden heels.